My husband tells me I tend to shut doors loudly, or at least that is what he claims when I get up before him. I don’t believe I shut them any louder than he does, but just in case, I wanted to make sure that our baby won’t wake up as soon as someone shuts the nursery door, or really any door upstairs. 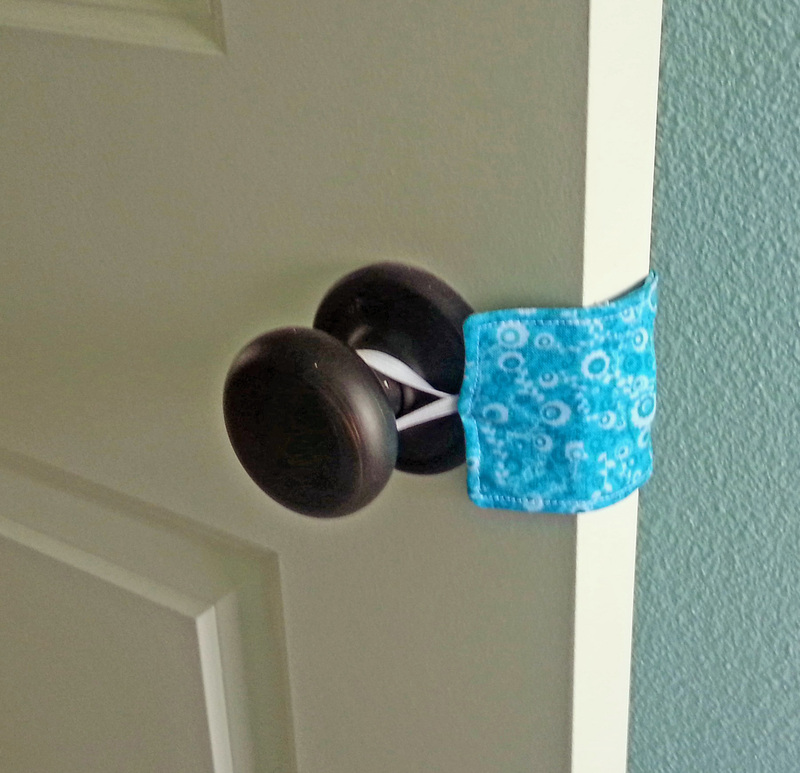 These cute DIY Door Latch Covers are thin enough that the door still shuts, but the stop the door latch from clicking. These sleep savers are quick and easy to put together. 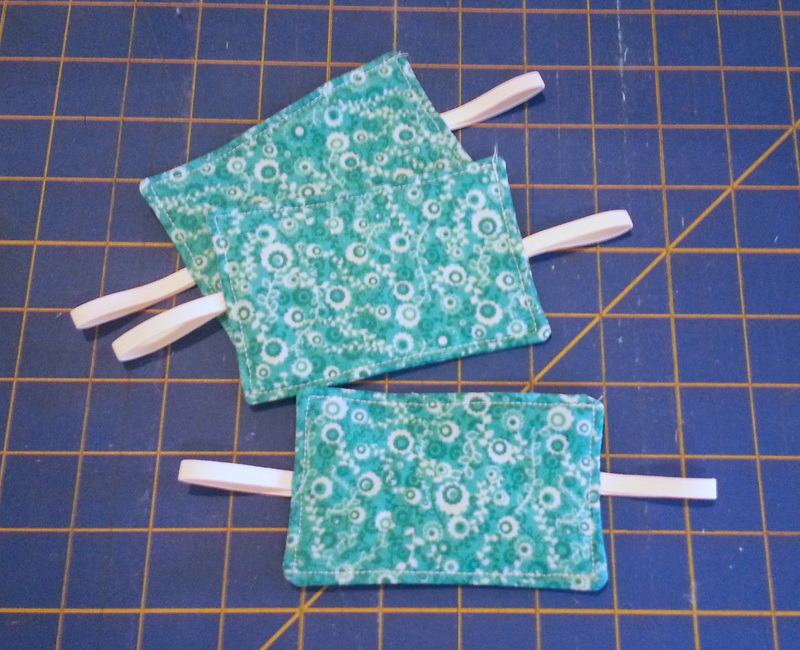 Start by cutting two 3 ½ x 5 inch rectangles out of your fabric, one 3 ½ x 5 inch rectangle out of your batting, and two 4 inch pieces of elastic. 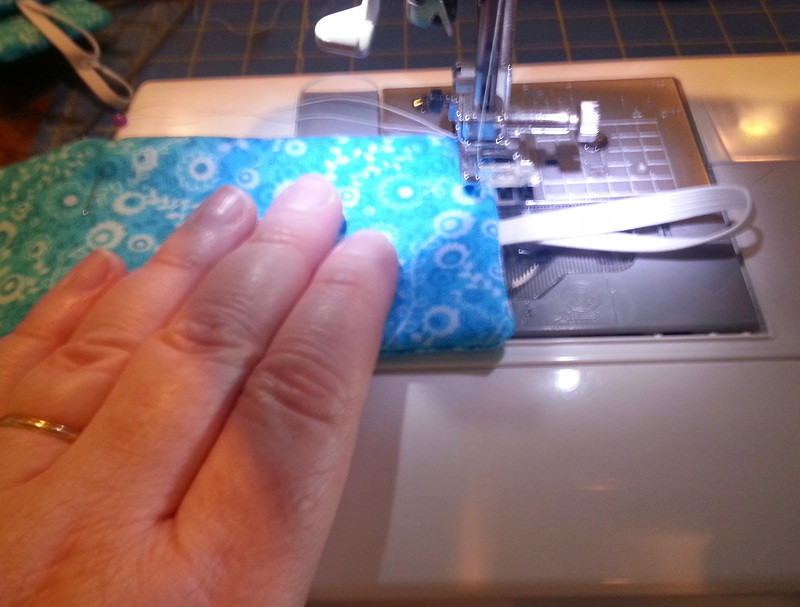 Pin the stack together, and sew all the way around all four edges with ½ inch seam allowance. 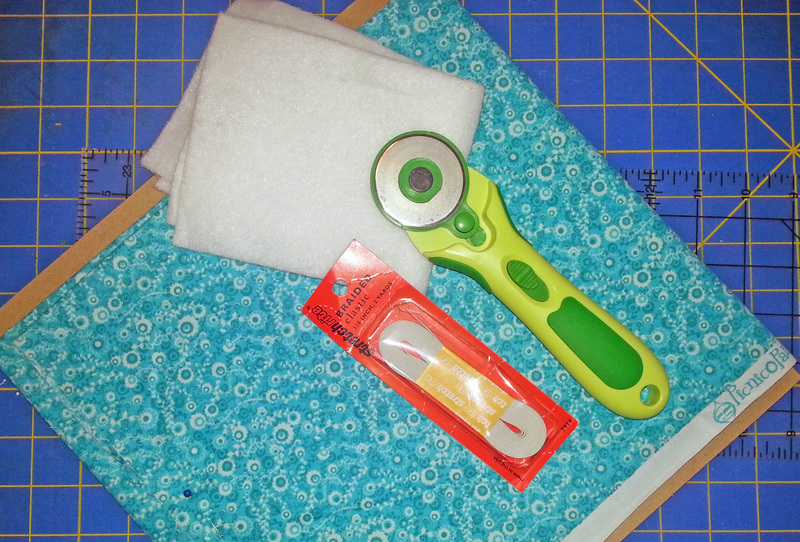 Leave about a 2 inch hole of one of the long edges for turning the cover right side out. Clip the corners, and trim the batting as close to the stitches as you can get it. Then turn the latch cover right side out. To finish it off, top stitch all the way around with about an 1/8 inch seam allowance. Slip the elastic over a doorknob, wrap the cover around the edge of the door, and hook the other elastic over the doorknob on the other side. Now your doors won’t wake the baby once your finally get them sleep! PS. I am waiting for my husband to see how silent they make the doors, I have a feeling he might want one for our closet door too. This entry was posted in Crafts, Needlearts, Sewing and tagged Baby, Batting on April 8, 2015 by Kimberly. Kimberly is the Customer Service Manager at CreateForLess, and it is her voice you hear when you call our toll-free number. Her love for crafting started when she asked her mom to make her a quilt...instead her mom signed her up for a class so she could make her own, and she hasn't stopped crafting since!